The cover of this set shows Lomax’s face superimposed over a diamond. Although that may seem a bit conceited, it’s actually an apt description of the music contained therein. Although not quite as accomplished as his 1972 Warner’s swansong Three, Is This What You Want? is a cut above most debut albums. This is, in part, because Lomax was already a veteran of the same Hamburg club scene as his Beatle mentors. Indeed, the original J-Lo had quite a bit of excellent material languishing in various record company vaults in the years before he signed to Apple. 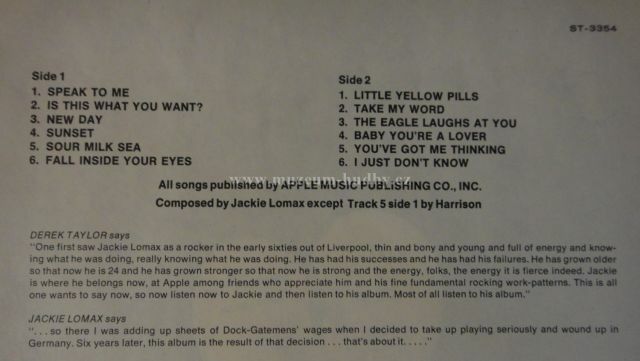 The album’s main attraction, in the eyes of a majority of reviewers, is “Sour Milk Sea”, a rather pedestrian George Harrison-penned track, but the album succeeds on the strengths of Lomax’s own songwriting. There are a handful of excellent tracks which vary stylistically from rock (“You’ve Got Me Thinking”, “Speak to Me”) to ballads (“I Just Don’t Know”, and the absolutely gorgeous “Fall Inside Your Eyes”). Although occasionally hampered by background choruses and Moog fills (Harrison was producing this album at roughly the same time as recording his noodle-riffic Electronic Sound), the album’s a keeper because Lomax’s distinctive blue-eyed-soul vocals shine even on the lesser material. 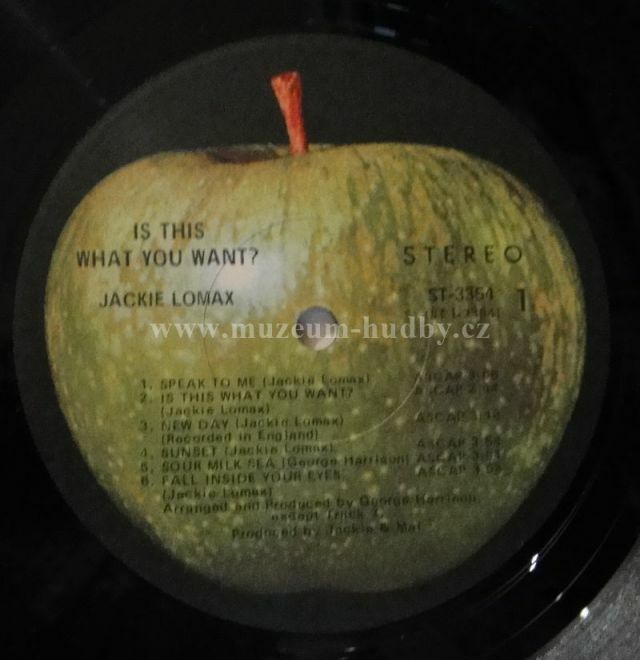 Unfortunately, none of Jackie’s Apple sides spawned a hit, and he was soon caught up in Allen Klein’s purge of the company’s artist roster. Before leaving, though, Lomax cut a couple further singles that were just as catchy as the majority of the album material, including a version of “How the Web Was Woven” on which Elvis based his. Like Terry Reid, with whom he would later collaborate, Jackie Lomax had a voice that should have propelled him to the top of the charts. Those who missed out previously now have another chance to make amends. 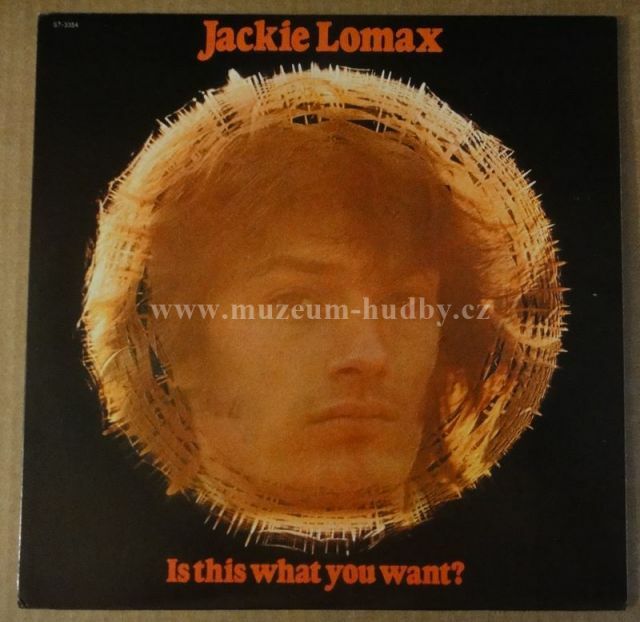 For those who find James Taylor too somnolent and Joe Cocker too strident, Jackie Lomax offers a comfortable middle ground. By the time Lomax was in his teens he'd been in a number of bands, including handling rhythm guitar for Dee and the Dynamites and starting in 1962 playing bass and handling lead vocals for the Liverpool-based The Undertakers. The Undertakers lasted until 1964 at which point Lomax briefly moved to the States before returning to England where he and former Undertakers alumni Bugs Pemberton formed the R&B-oriented The Lost Souls. The Souls caught the attention of Beatles manager Brian Epstein, quickly metamorphosing into the cleverly-titled Lomax Alliance. Unfortunately with Epstein's untimely death the Alliance lost its chief supporter and quickly collapsed. Lomax returned the States, but within a returned to England again when George Harrison expressed interest in working with him. 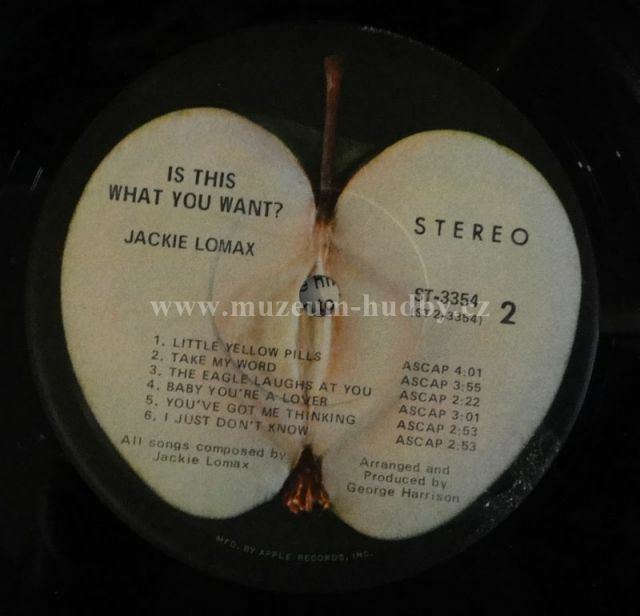 By 1969 Lomax was already a seasoned musical veteran which makes it slightly ironic that today he's largely known as the first act signed by The Beatles to their fledgling Apple Records label. Produced by Harrison, 1969's "Is This What You Want?" is at best a mixed success. As you'd suspect, working with The Beatles was both an honor and a risk. 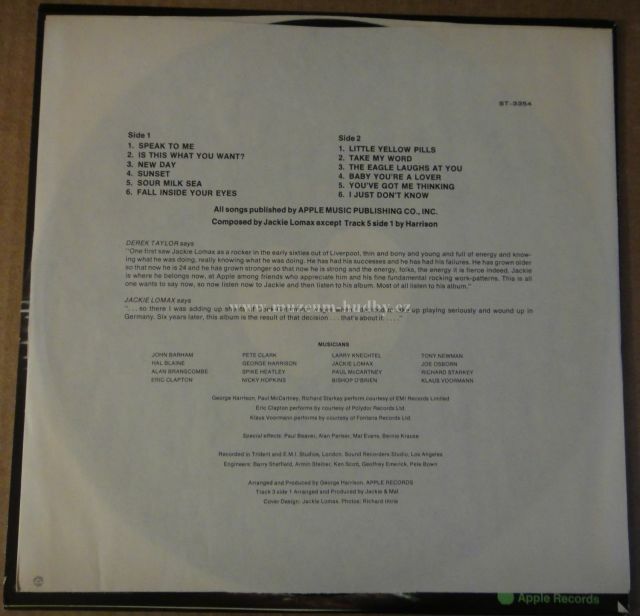 In this instance most of the media attention surrounding the LP went to the set's one non-original - Harrison's "Sour Sea Milk". To be honest, the rocker wasn't all that impressive (nice little Harrison solo), but then neither were most of Lomax's eleven songs. Musically the set was divided into up tempo pieces such as "Speak To Me" and "How Can You Say Goodbye" that bore a passing resemblance to Harrison's work with Bonnie and Delaney. To us the album's biggest surprise here is Lomax's voice. Quite an impressive R&B-styled vocalist with The Undertakers and The Lomax Alliance, here his performances frequently sound fragile and strained. Lomax's vocal limitations are particularly noticeable on blue-eyed soul performances such as the title track (which recalls The Beatles own "Come Together") and the ballad "Fall Inside Your Eyes". On the latter he's pushed hard to simply stay in tune. Elsewhere the set was notable for boasting one of the year's more impressive supporting casts. 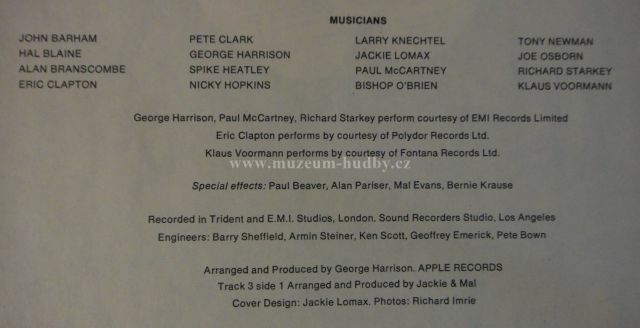 Besides Harrison, the LP sported cameos from Eric Clapton, Nicky Hopkins, Paul McCartney, Ringo Starr and Klaus Voorman. Not a bad assortment of friends and supporters. 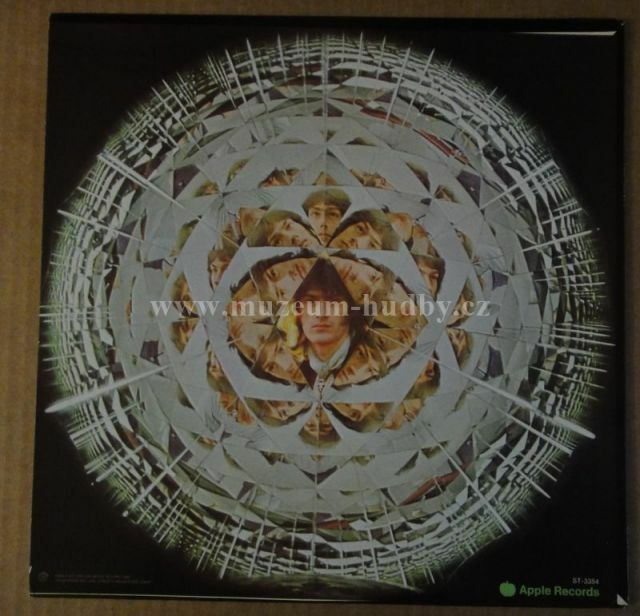 Quite an interesting album released by Apple. The Lomax's voice and some shaky feminine backing vocals are the things I like the less here. But the musicians behind him include George Harrison, Paul McCartney, Ringo Starr, Eric Clapton, Nicky Hopkins and Klaus Voormann, to name to most well-known ones. The music sounds a bit like the Beatles sometimes. It worths to be rediscovered.